Premiere: "This movie won the Procirep's Award at the 2015 Clermont-Ferrand International Short Film Festival"
Along with sending its members an independent feature every month, Film Movement also shines a spotlight on a different short movie, which is included on each new DVD. Thanks to Film Movement, I’ve seen a few fascinating shorts over the years (the animated No Corras Tanto is one, and The Box Man is another). 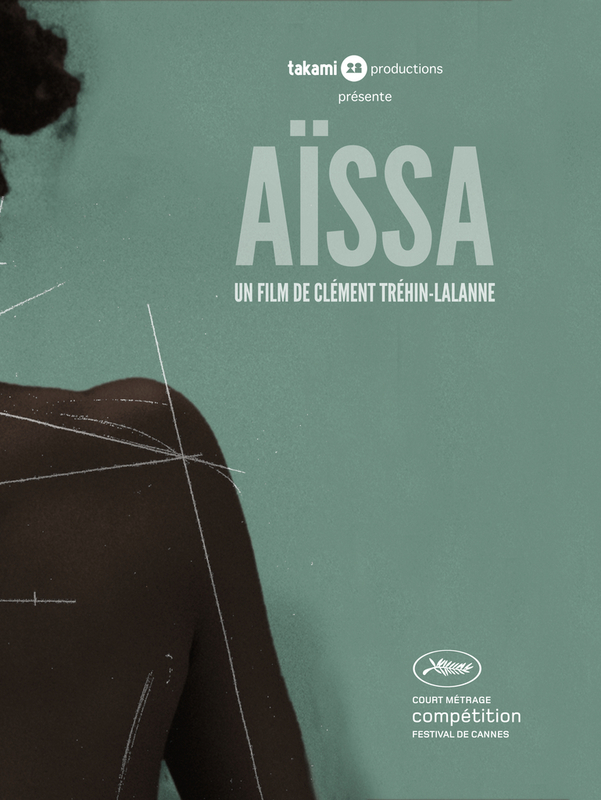 Aïssa, a 2014 French film featured on the recent Glassland DVD release, relates the story of a young woman forced to endure a humiliating experience. Believing she may be an illegal immigrant, the authorities order that Aïssa (Manda Touré), a Congolese girl working as a beautician on French soil, be taken to a doctor, who will determine whether or not she is under 18 years of age (minors are granted legal status). During her examination, the Doctor (voiced by Barnard Campan) asks Aïssa to remove her clothing, then proceeds to inspect her various body parts, measuring each one in a meticulous, yet very clinical manner. Writer / director Clément Tréhin-Lalanne was inspired to make Aïssa after reading a 2007 article about two Congolese youths who underwent a similar examination. The article, which also included a copy of the medical report, “deeply shocked” Tréhin-Lalanne, who found it abhorrent that a young person’s future was left in the hands of a complete stranger (the two were proven to be over 18, and therefore deported). These are the emotions he conveys in his film. When we first meet the girl in question (well played by Manda Touré), she is clearly frightened. Her trepidation is countered by the doctor, whose approach to his task is very direct (he remains off-screen the entire time, and we hear his findings by way of a tape recording he made for the authorities). The doctor shows no emotion or empathy as he inspects Aïssa (“The breasts are fully developed and formed”, he says as he looks at her naked chest, and he then measures the growth of hair under her arms and on her pubic area). When he announces the results of his examination, the camera is affixed on Aïssa, and we see her reaction to what he has to say. For the doctor, it’s simply one of many physicals he administers on a daily basis. For Aïssa, it’s been a life-altering experience. Heartbreaking and poignant, Aïssa is a straightforward short that will give you plenty to think about.